If the only image that comes to mind when you think of Los Angeles involves smog, traffic or Hollywood film studios, think again. Did you know that Los Angeles has more than 80 stage theaters and 300 museums, more than any other U.S. city? A weekend getaway in LA can be culturally rewarding. Visit world-class museums, go to the theatre, enjoy the finest in dining and take in some California sunshine along the way. Why Should You Go? Will You Like It? Weather isn't such a big consideration if you're going to a museum or indoor concert performance. However, there are many outdoor performance venues whose seasons run in the summer. Free Concerts: In the warmer months, you can enjoy a free Friday evening concert at the Los Angeles County Museum of Art. The Armand Hammer Museum at UCLA also sponsors free concerts (days vary). Getty Center Museum is the crowning jewel of Los Angeles art museums, at least from an architectural point of view. Expect to take a full day to visit it and if you like architecture, you may spend so much time admiring the buildings that you'll never get inside. Admission is free, but there is a parking fee. On a clear day, sunsets can be spectacular from the Getty, and you may want to time your visit, so you're still there when the sun goes down. They're open late on Saturdays. Best Museums: Of the hundreds in town, this list features some of the best by type. If you've seen the most popular places, browse a complete list. The Arts Downtown: The Performing Arts Center is home to the Ahmanson Theatre, Mark Taper Forum, Dorothy Chandler Pavilion and Disney Concert Hall. The outdoor ambiance here elevates an evening of the arts to a high and rightly deserved level of glamor. If you're not staying downtown, avoid traffic and get there on the Metro Rail Red Line, exiting at the Civic Center/Tom Bradley Station, a short walk from the Arts Center. Music Arts: The Los Angeles Opera season runs September through April. The Los Angeles Philharmonic performs October through Mid- June and in summer at the Hollywood Bowl. On Stage: With so many great actors living in the area, there's always plenty happening on Los Angeles stage. Find out about everything that's available. Small But Wonderful Theatres: A part of the Center Theatre Group but located in Culver City, the Kirk Douglas Theatre is a 317-seat theatre in a renovated historic movie house, offering some of the best in cutting-edge and world premiere drama. Another great option at extremely reasonable prices is the Fountain Theatre, the which the Los Angeles Times calls Broadway-calibre and the Wall Street Journal says is "One of California's best drama companies." To top it all off, their small and intimate theatre has staged the last four U.S. premieres of plays by South African playwright Athol Fugard - and they're home to the acclaimed dance performance Forever Flamenco. Hollywood Bowl: Take a picnic to enjoy on the grounds or at your seat to get the full experience. If funds allow, a box seat with a catered meal is worth the cost. Ford Amphiteatre: A surprisingly-affordable, intimate venue located in a county park. Their 2009 play season is all premieres. Download useful apps to help you look like a pro. Check out this list of the best apps for your trip to LA. The most convenient place to stay will depend on your itinerary. 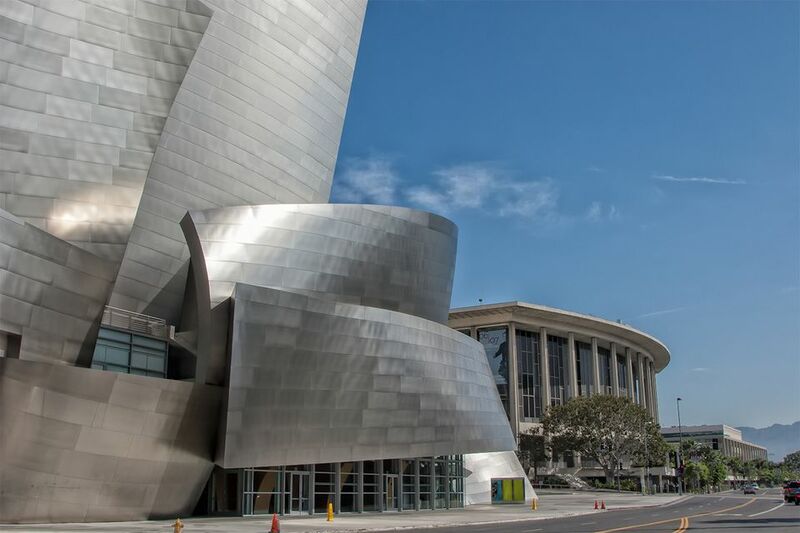 Downtown is convenient for the Performing Arts Center and Museum of Contemporary Art, Beverly Hills and Hollywood for big museums on Wilshire Blvd, and big theatres and you can stay on the Westside for the Getty Museums and activities at UCLA. Use the guide to where to stay in Los Angeles to find the best place for your trip.